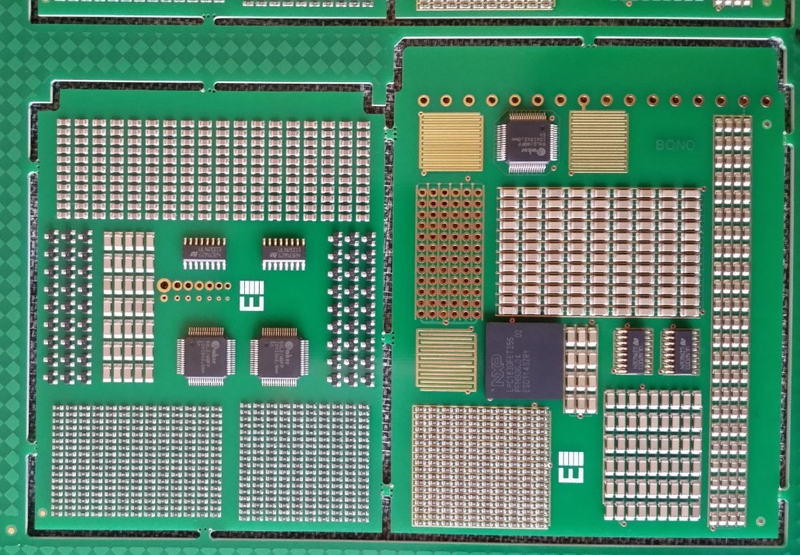 The performance requirements of conformal coatings continue to become ever more challenging, as electronics are increasingly subjected to ever more hostile operating environments. Simultaneously, environmental legislation continues to evolve, with an emphasis on reducing solvent usage and Volatile Organic Compound (VOC) emissions. The use of solvent-less silicone conformal coatings is now mature, but often these materials cannot be used due to the risk of silicone contamination, or simply their lack of protective efficiency in hostile end environments, in particular highly humid and corrosive gas environments. The use of single component UV curable materials has grown significantly during the last decade, with rapid cure yielding productivity benefits for many. However, the current single part UV materials often suffer cure issues when applied to boards containing tall components, which shadow the exposure to UV light and necessitate out-of-focus cure heights, reducing light intensity and degree of cure. Consequently, a secondary cure mechanism must be introduced into UV curing, typically a moisture activated or heat activated mechanism. A new range of innovative VOC-free, fast-curing, high performance two-part conformal coatings designed for application by selective coating are introduced. 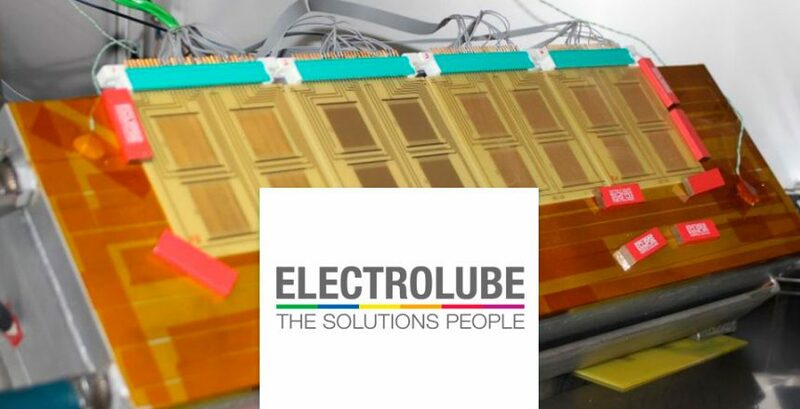 The fundamental chemistry behind Electrolube’s new ‘2K’ coating materials is not new, but the 2K, solvent-free selective coating process is a new and enabling technological breakthrough, that allows all the benefits of 2K coating materials to be realised. The 2K materials provide a solvent-free alternative to both UV and silicone materials, requiring less capital investment than UV materials and improving on the performance of most silicones in harsh environments. Electrolube subjected the new 2K range amongst UV and silicone coatings to scrutinising tests, which included thermal shock, powered salt-spray, condensation and mixed flowing gas (MFG) testing. The pumps accurately control the flow rates of the individual components of the formulations within ± 1%, maintaining control of the volumetric mix ratio and ensuring correct curing and properties of the dispensed materials. 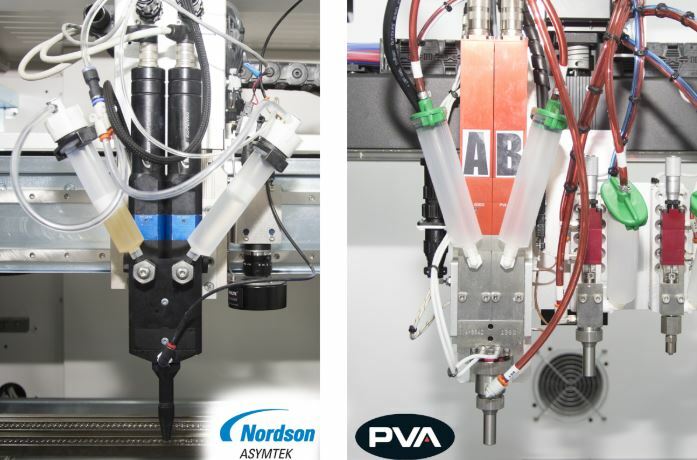 Additionally, the spray head velocity can be up to three times faster than traditional 100% solids materials spray applications, significantly reducing coating cycle times. While the 2K coating materials can be applied thinly (50-75µm), they have been designed, formulated and tested to be applied at much greater thicknesses (250-300µm), to facilitate superior encapsulation of components and component leads. 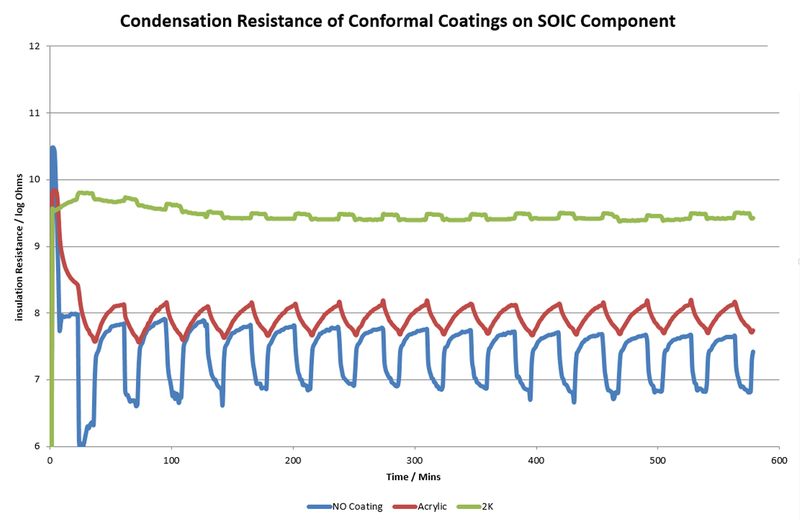 A new Surface Insulation Resistance (SIR) test coupon was designed to better simulate real-life testing of conformal coatings, containing non-functional component arrays as part of the SIR test patterns, shown in Fig 2. Thermal shock is a Highly Accelerated Stress Test, favoured in particular by the automotive industry to assess the likelihood of a coating to crack during service. Many UV coatings are unable to withstand the current requirements of 1000 thermal shock cycles without cracking. The following conformal coatings (shown in Table 1) were applied on an Asymtek SelectCoat SL-940E (fig 2). All coatings were applied at a minimum and maximum target thickness that gave uniform coverage and were in keeping with industry standards. The coatings were cured in accordance with the manufacturer’s recommendations and left for a further 4 weeks to allow for any post-cure. The boards were then subjected to 1000 Thermal shock cycles (-40°C to +130°C) in an ESPEC TSA-102EL chamber. Boards were visually examined at 50X magnification after 100 cycles, 200 cycles and then every further 200 to 1000 cycles. The results clearly demonstrate the 2K materials performed extremely well in this thermal shock test compared with both solvent-based and competitive UV curable materials (examples shown in figure 2). Interestingly, even at 2.5X the thickness of the UV materials, the ability to withstand the thermal shock cycles was significantly greater and comparable to the performance of silicone materials, known to be quite resilient in thermal shock testing. 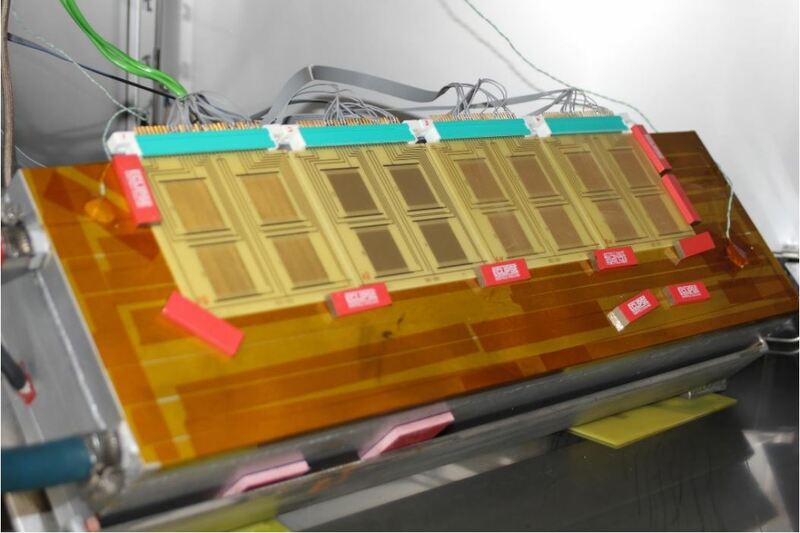 After completion of the thermal shock testing and visual inspection, the boards were subjected to a 96-hour salt-mist (5% NaCl(aq)) exposure. A summary of the data is shown in fig 3, which shows the average SIR values of the IPC B-24 pattern contained within the coupon. The 2K materials provided outstanding salt-mist resistance, both during the wet stage and after drying out, at a similar level to the silicone materials. 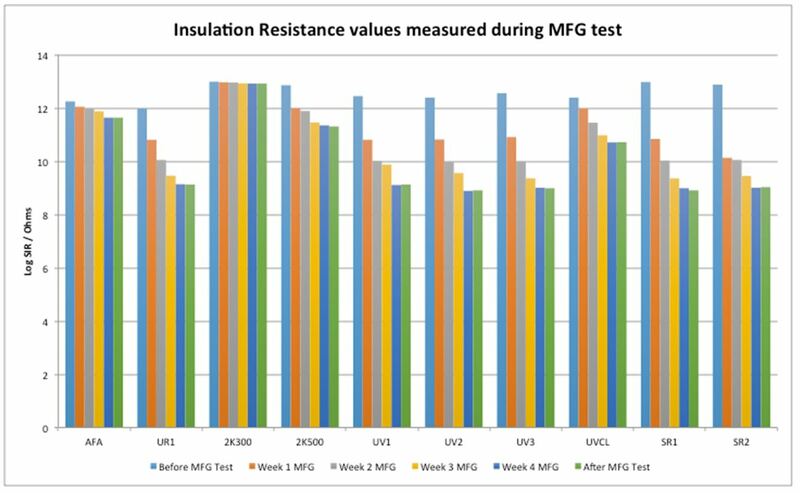 The UV, and solvent-based urethane materials that had cracked during the thermal shock test showed relatively poor protection during the test and minimal improvement in SIR at test completion. The boards were then subjected to a 28-day corrosive gas environment, in accordance with IEC 68-2-60, class 3, as shown below in Table 2. SIR measurements were made at ambient lab conditions (25°C, 50%RH) before the commencement of testing, at weekly intervals and 24 hours after the completion of the test as shown in fig 4. As anticipated, materials that had not cracked during previous thermal shock testing performed better in the MFG test. The silicone materials showed similar behaviour to the cracked UV materials in this test, suggesting that the silicone materials are fairly porous to these corrosive gases. The thicker 2K coatings and the un-cracked acrylic material showed very good barrier properties to these corrosive gases. Condensation testing is becoming increasingly more important particularly within the automotive industry. Due to traditional testing inconsistencies, the UK National Physical Laboratory developed an alternative condensation test where the chamber conditions remain stable, and the temperature of the test part is lowered below the dew point, creating a controlled dew formation on the cooler surface to the test part. 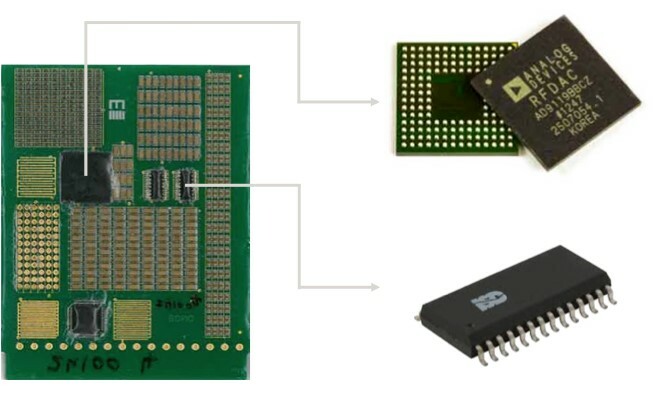 If we consider two commonly used packages, Ball Grid Array (BGA) and Small Outline Integrated Circuit (SOIC), as shown in fig 6, as being representative, then we can see how the protection levels of the coatings varies with condensation cycling in figures 8 and 9. Fig 9: SIR of coated and uncoated BGA test pattern during cyclic condensation testing. Essentially, the SIR remained constant during condensation and drying out cycles for the 2K material on both patterns, proving the material to be a very effective barrier to condensation. The acrylic material also proved to be a consistent barrier on the SOIC component, but there was evidence of condensation penetrating beneath the BGA device, which ultimately dried out but resulted in lower readings during condensation events. 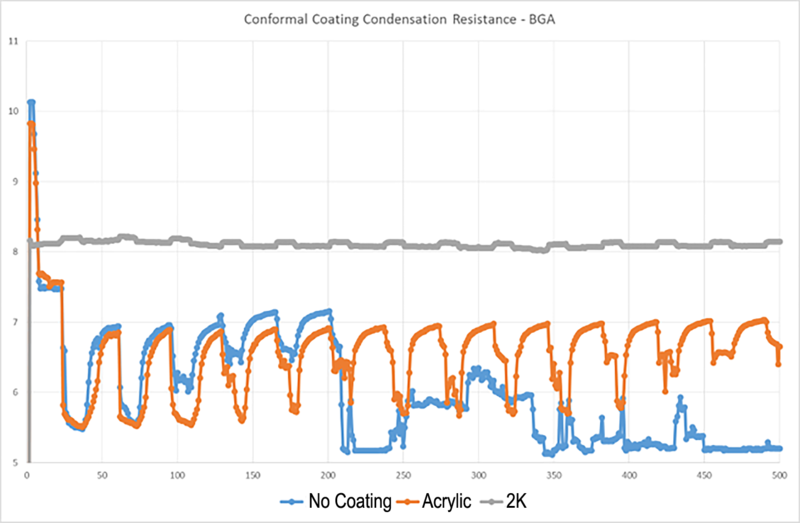 The uncoated devices showed significant drops in SIR during condensing events, and on the BGA device tended towards a shorting condition and potential corrosion or dendritic growth. From rigorous testing, the 2K polyurethane materials demonstrate very impressive performance when compared to other coating types. The fact that they can be applied thickly, without cracking during thermal shock testing, enables a greater degree of component lead coverage to be achieved, resulting in improved performance during thermal shock, powered salt-spray testing, MFG testing and condensation testing, traditionally gruelling test regimes, commonly used during automotive qualification campaigns.